You know what you should do with the leftover potatoes you bought for Thanksgiving? 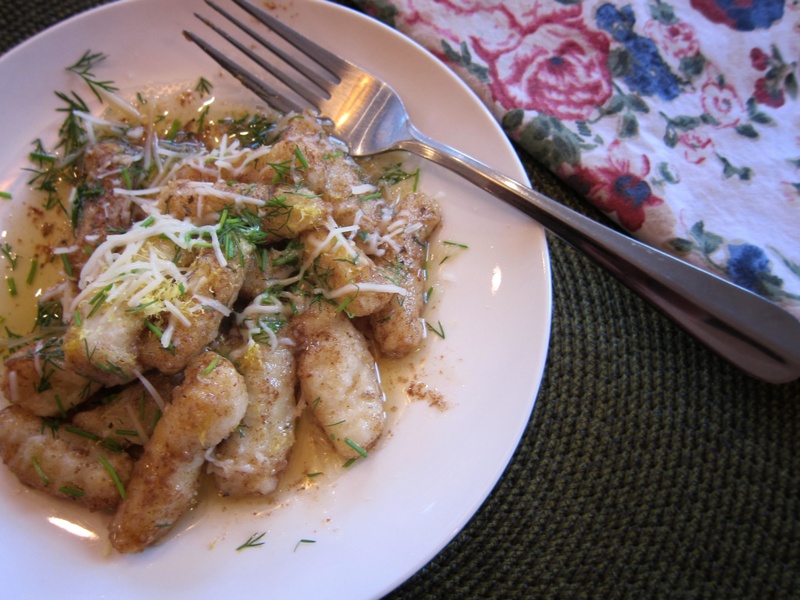 Gnocchi, that’s what! Peel and cut the potatoes into small chunks. Cook the potato in boiling water until soft. Drain and allow to cool. When cool, add the potato, egg, salt, pepper and nutmeg into a bowl. With a fork mash together the potato and egg until it forms a soft mixture. Now add the flour a little at a time and mix until it forms a smooth soft dough. 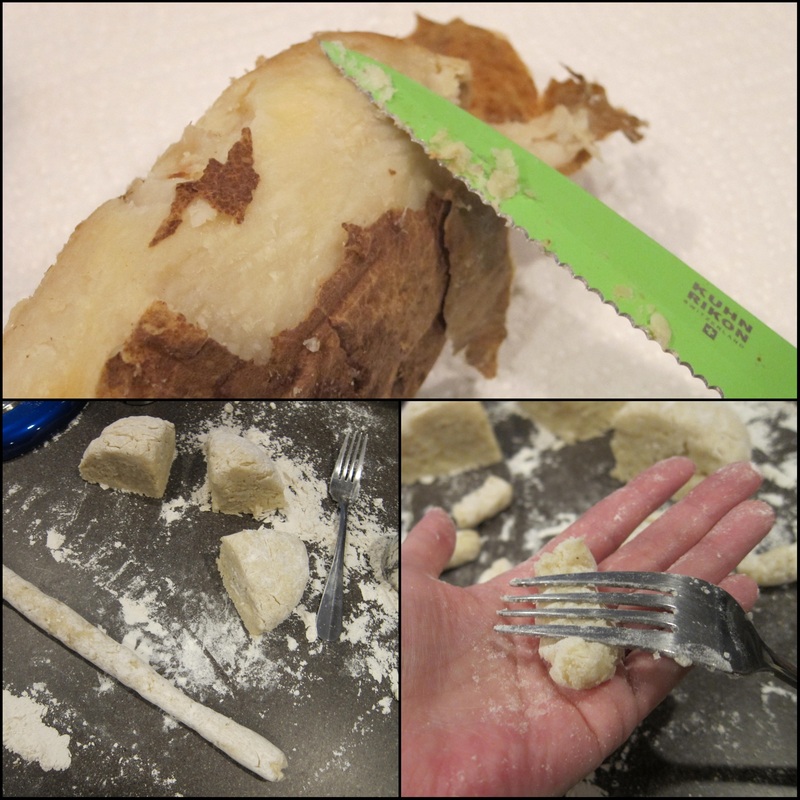 You might need more flour or less depending on how wet your potatoes are. I like to mix with my hands to really get a feel for when I should stop adding flour. Liberally flour your work surface and turn out your dough. Kneed gently to form a ball. Add as much flour as necessary so the dough won’t stick to your hands or the work surface. Cut the ball of dough into fourths. Gently roll the dough pieces into a log about an 1/2 inch in diameter. Cut the log into rough inch or so pieces. You can roll the pieces with a fork cradled in the palm of your hand for a traditional touch. Place the gnocchi onto a parchment covered sheet pan. At this point you can place the sheet pan in to the freezer and freeze the gnocchi. Place in a zip top bag once frozen. Bring a large pot of salted water to a boil. Add the gnocchi and cook for about 2 minutes or until they float to the surface of the water. In a saute pan over medium high heat melt the butter and cook until it turns a golden brown color. Add the lemon zest and fresh herbs. Toss the gnocchi in the saute pan to cover with the sauce.